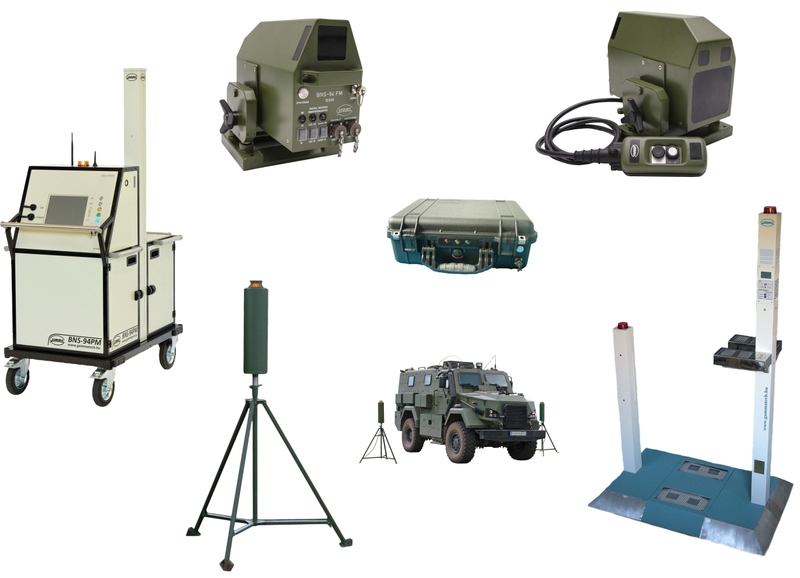 The BNS-94M and BNS-94FM Radiation Reconnaissance Systems were designed as multipurpose detectors that can be used as built-in or standalone devices. They can be mounted on vehicles or can be used with tripods. BNS-94 instruments are cable of constantly monitoring gamma radiation and making audible and visual alarm when an isotope is detected. With these devices both hidden radioisotopes and radioactive contamination can be found. Places of application: temporary, mobile checkpoints, security systems, ﬁrst responder teams, naval application. Objects of inspection: individuals, ships, cargo, road vehicles.